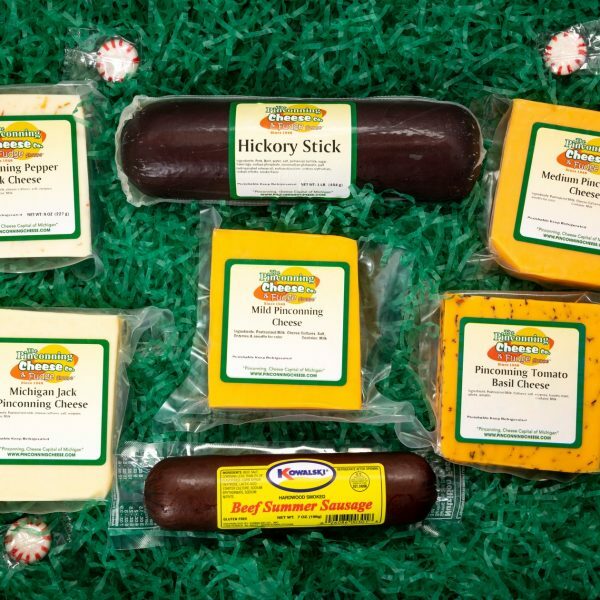 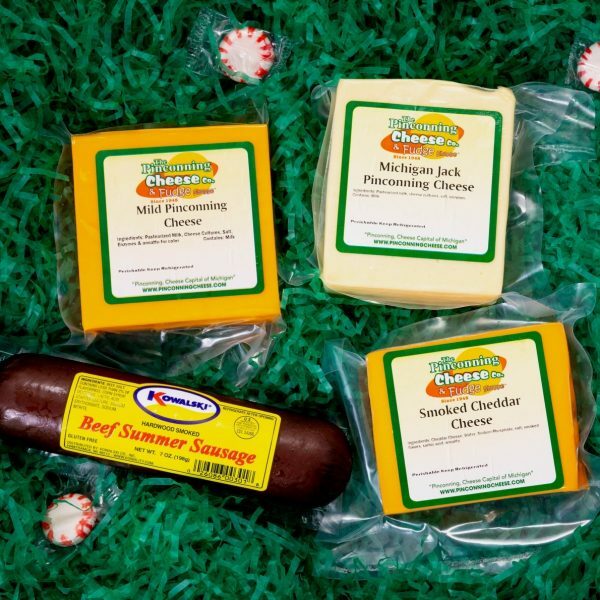 Our Homemade Cheese Spread Sampler Gift Box or Gift Box #10, consists of four 8 oz. 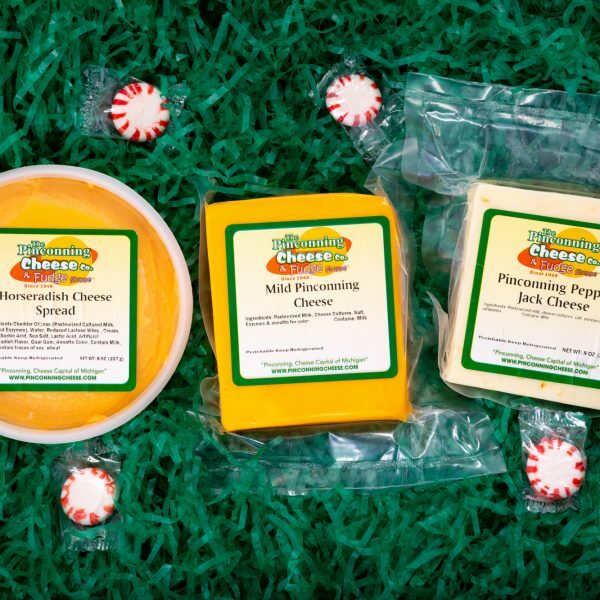 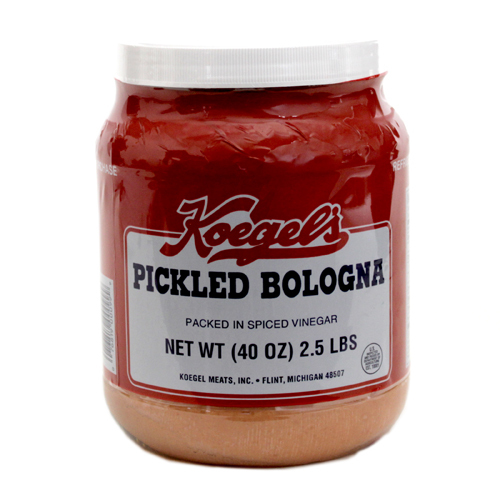 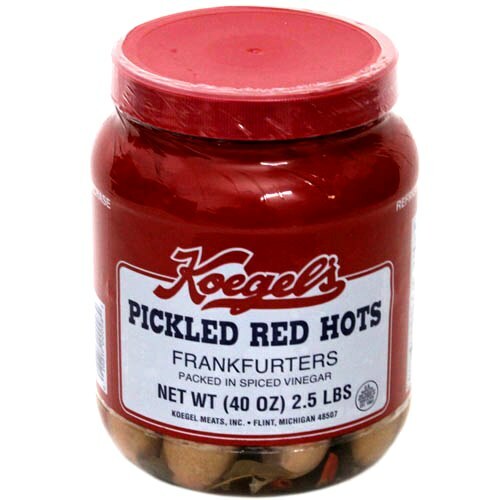 Pinconning Cheese Spreads of our most popular flavors, two 8 oz. 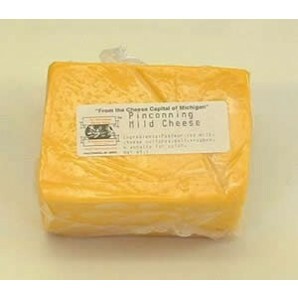 Pinconning Cheeses, an 8 oz. 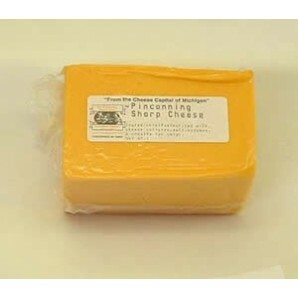 TigerTown Pinconning Cheese, and a branded Pinconning Cheese Knife. 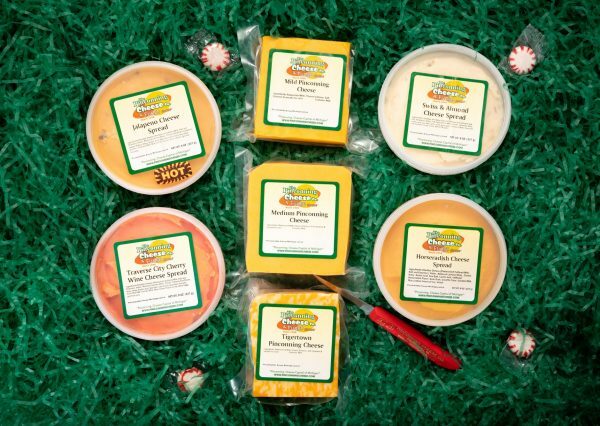 This is the perfect gift box for any cheese spread lover!